In 1960, at the young age of 18, Gwendolyn Green became a leader with the Non-Violent Action group out of Howard University, where she was a student. She traveled to lunch counters throughout Maryland, D.C. and Virginia protesting segregation. . . . 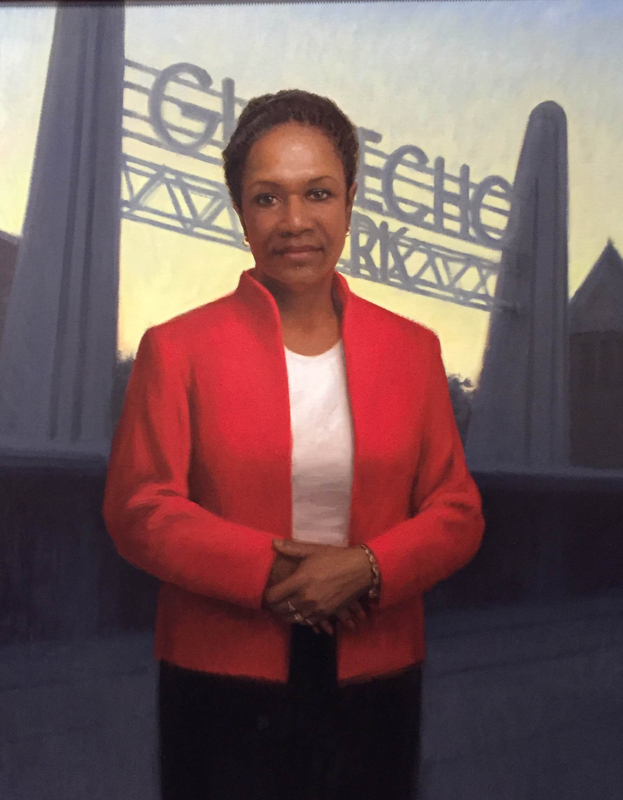 In June of that year, she staged a sit-in protest on the carousel of segregated Glen Echo Park in Montgomery County. Gwen and four others were arrested and convicted of criminal trespass. Those arrests were appealed, and the U.S. Supreme Court found the convictions unconstitutional. . . In Jackson, the group of Freedom Riders used the whites-only facilities at the train station. Police attempted to evict them, leading to mass arrests where officers herded the Riders onto paddy wagons with billy clubs, spitting on them. She spent forty days in the maximum security Parchman Penitentiary for her arrest. During her tenure as a state senator, Gwen helped shepherd a bill through the General Assembly that restored voting rights to ex-offenders, telling The Baltimore Sun that “a person’s right to vote is his or her badge of citizenship, and without it all other rights are in jeopardy” . . . She also worked to ensure ensure emergency shelter for victims fleeing domestic violence in the home, and was honored by the Family Crisis Center of Prince George’s County with a fund named in her honor. . .
One of Gwen’s last signature issues was working to achieve marriage equality for same-gender couples. In the days prior to her passing, she was soliciting co-sponsors to the marriage bill she planned to file. Gwendolyn Britt was survived by Travis Britt, her husband of 46 years, who passed away at the end of last year before he could see his wife’s portrait unveiled. A great example and leader from early in life until her untimely death, I hope the General Assembly places Sen. Britt’s portrait in a prominent place in the legislative complex.